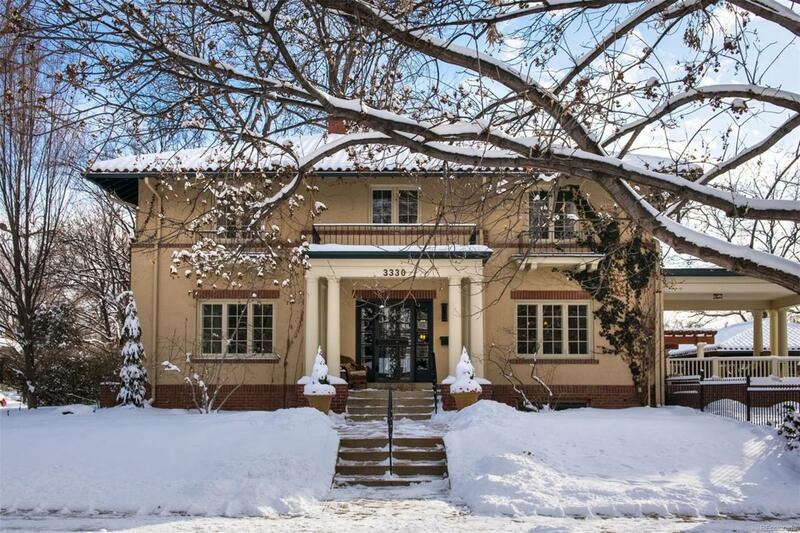 Gorgeous stucco and brick home in the 7th Avenue Historic District is a period masterpiece with all the modern necessities found in a newly built home. This home has all the character of the 1920's but with a modern feel. Meticulously done renovation by Gruber Remodeling in 2004 with Wolf stove, oven, Sub Zero refrigerator with two freezer drawers and a dishwasher, there isnt anything that requires an update. The formal dining room is spacious with French doors leading to a covered patio overlooking the parkway. Upstairs, the master bedroom has a 5-piece bath with clawfoot tub, separate shower and walk-in closet. An updated 2nd bathroom plus 3 more bedrooms, completes the second floor. The basement living room is bright, additional bed & bath and laundry room. bedroom with an en suite bathroom rounds out the living space. Lastly, the detached three car garage is covered in vines making the entire property a beautiful setting for outdoor entertainment and serenity.